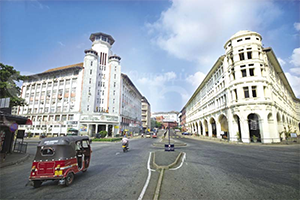 Colombo, Sri Lanka's largest city is noisy, frenetic - and just a little crazy! Thankfully, the breakdowns, snarled traffic and power cuts are received with a shrug and a smile. While the Sri Lankan capital holds less obvious interest than many other parts of the island, it's very colourful and worth a look. North of the centre is the Fort district, Sri Lanka’s business centre. South is Galle Face Green, a seafront expanse of occasional green. East of the fort is the pungent Pettah bazaar district. Culture buffs shouldn't miss the National Museum, the Art Gallery, and the city's mosques and temples. Independence Square Independence Commemoration Hall located on Independence Square (formally Torrington Square) in Cinnamon Gardens, is a national monument in Sri Lanka. This was built long after independence was gained from the British rule on February 4, 1948. 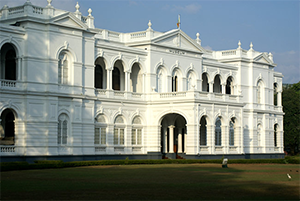 National Museum The Colombo national museum is an Italian architecture colonial type mansion which was founded by the British governor of Ceylon at that time, Sir William Henry Gregory. 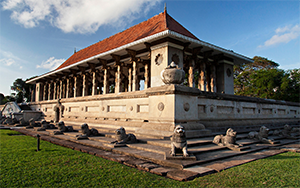 This treasure house is the Sri Lanka’s most prestigious, oldest and largest museum. 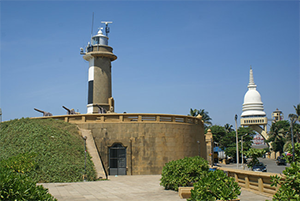 Colombo Lighthouse The old Colombo light house was initially establish in 1860 as a clock tower and the lantern was added in 1865 and transformed in to a light house. The original clock (made by the same manufacturer as “Big Ben”) was replaced in 1913. 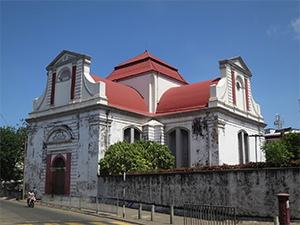 The tower is located at the junction of Chatham Street and Janadhipathi Mawatha(formally known as Queens Road) in Colombo Fort. At present the light house is not operational, but functions as a clock tower and is designated as a monument. 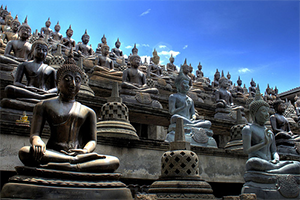 Gangaramaya Temple The Gangaramaya Buddhist temple is a beautiful and vibrant temple with a history that dates back over 2,000 years. This temple was said to have been built in the 19th century by a trader and ship owner named Don Bastion, who had played a leading role in reviving Buddhism. Wolvendaal Church Wolvendaal church is one on the oldest churches built during the Dutch era in 1749. The interior is decorated with Dutch furniture with the wooden carved pews, chairs, pulpit and lecterns. Jami Ul-Alfar Mosque Jami-Ul-Alfar Mosque at Second Cross Street, in the Pettah is one of the most striking buildings in Colombo and can be spotted very easily. 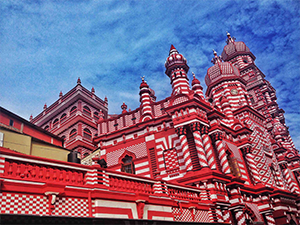 This beautiful red and white design architecture mosque began to construct in 1908 and took almost a year to complete.